Skelton Business Equipment tries to make it as simple as possible for our customers to support issues themselves if they choose to. We will always be here to provide our expertise, but for people who like to work at their own pace, or during off-hours, we have a nice library of procedures for them to manage their Sharp copier. Whether you’re simply adding emails to a Sharp address book, or setting up a new computer to print to your Sharp printer, we have you covered here. Please take advantage of all of this information, and on our YouTube channel. If you still need some help after consulting this page and our videos on YouTube, just give us a call or fill out the Contact Us form and we will get back with you as soon as possible. We have skilled technicians that can remote into your computer via GoToAssist and take care of the problem or handle the setup ASAP. Our staff takes great pride in providing the best copier support in Houston. Hundreds of customers rely on us to take care of their copiers in a timely and professional manner. Since 1979 the greater Houston area has been getting the 4 hours or less service call, free toner shipment, free delivery and installation, free networking for printing/scanning, and free training. The list of advantages for doing business with us is a long one. 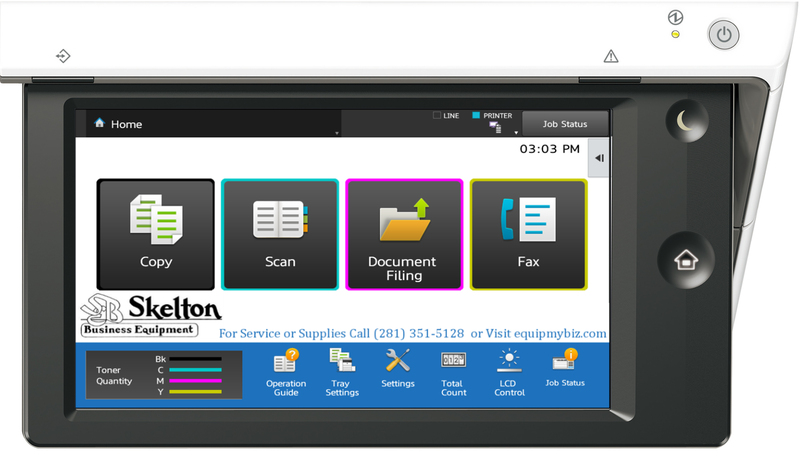 Tell your friends and family about us so we can help eliminate their copier related headaches forever.